CMYK (Cyan, Magenta, Yellow, Black) The subtractive process colors used in color printing. Black (K) is added to enhance color and contrast. RGB (red, green, and blue) The primary additive colors used in display devices and scanners. Commonly used to refer to the color space, mixing system, or monitor in color computer graphics. CMYK and RGB are two different color models. 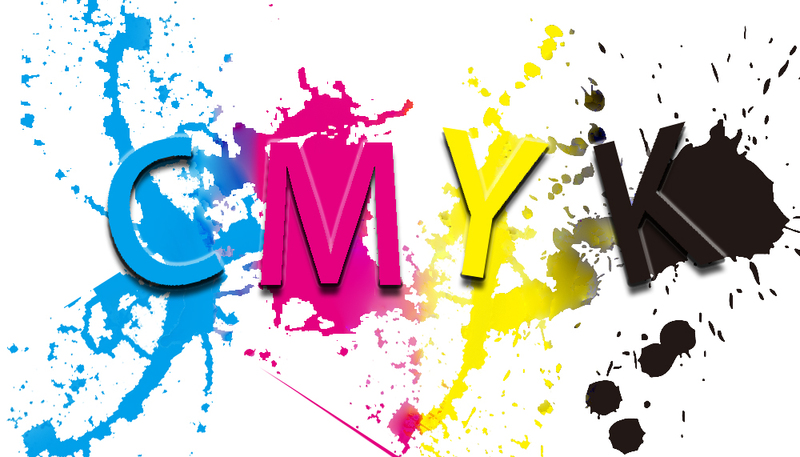 CMYK stands for Cyan, Magenta, Yellow and Key (Black). RGB means Red, Green and Blue. CMYK color format is used for printing. RGB color format is used to display on screen. For instance, digital and web content. We are an offset printer. We always use CMYK format artwork to print. Let’s talk more about CMYK color model. CMYK color model is a subtractive color model. It is used in color printing. CMYK four inks used in printing all colors. Here are some tips on CMYK printing. 1, When you design BLACK background and you need rich black, please don’t design with 100% BLACK. Do black background with C40M40B100 is better. 2, Before you embed the photo to your layout, please convert all RGB format photos to CMYK photo. Otherwise, after printing, the photo colors look darker. 3, Please don’t design small texts with CMYK color model. Design small black texts with one color BLACK. 4, After you complete the layout and convert to printing artwork, please convert to high resolution CMYK artwork.